Landscapes are changed by human action and satellite imagery of the globe has allowed us to see and understand that change in new ways. One of the ways the images have been used is to measure the amount of forest across the globe and the change in the total forest cover over time. New research now reports on five distinct drivers of change that are leading to forest loss around the world and why we should care about some of those drivers more than others. Forests are important ecosystems for many reasons. 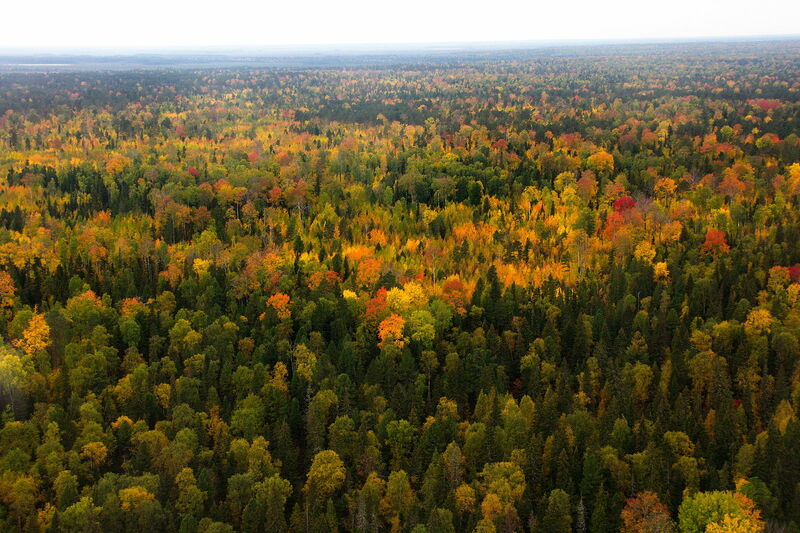 For example, forests are distinct and important habitats that support diverse ecosystems of plants and animals. Forests provide an important and renewable source of wood for infrastructure construction. They also store significant amounts of carbon, taking carbon dioxide gas, an important greenhouse gas, from the atmosphere and through photosynthesis returning oxygen to the system; and cycle other important nutrients. Finally, forests have specific feedback links to regional and global climate and weather systems. But forest cover is being lost across the globe. In a recent paper, Curtis and his coauthors report on a model they built to measure how much of that change can be attributed to several different and distinct forces, both natural and human driven. They looked at five specific reasons forests are lost: (1) deforestation for commodity agricultural crops, (2) rotation or shifting agriculture, (3) forestry, (3) wildfire and (4) urbanization. Commodity agricultural crops include soy, corn, palm oil and other crops that are sometimes turned into food, but more likely are transformed into secondary products that include everything from lotions to compostable plastics. Rotational agriculture in turn is more likely production for direct human consumption. Forestry and urbanization are distinctly human driven landscape modifications, while natural disturbances including wildfires perhaps less so. They then use this model to measure the amount of change from each of these forces happening in distinct regions of the globe. Because satellites generate so much data, researchers must build models that can automatically assess the data by recognizing distinct patterns associated with each type of land use and in this case, forest loss. Urbanization for instance could look like suburban sprawl or dense urban development. Land in rotational forestry might look deforested in large patches in one year but a decade later may show signs of regrowth, while similar land that has been converted to permanent large-scale agriculture does not show signs of regrowth. To train the model, the researchers used 5000 training cells, or images that were correctly classified. The model then looks at the rest of the image data and classifies it based on that training set. The findings have distinct regional signatures. At the global scale, commodity-driven large scale agriculture dominates forest loss in Latin America (64+/-8%) and Southeast Asia (61 +/- 13%). Rotational practices, including shifting agriculture and forestry, dominate the signatures in Africa, North America, Europe and much of the change observed in Asia. The researchers argue that efforts to address forest loss, such as those by corporations investigating their supply chains, should focus on regions where permanent conversion of land from forests to commodity agriculture is being observed, and not where forest change is representative of rotational practices where regrowth is also observed over time. In other words, it’s important to see the forest, for the trees.